EyeSpyFX are pleased to announce the launch of our app “D-Link Cams” for Blackberry. D-Link Cams is already available for iPhone and Android and the Blackberry app completes the set. (Perhaps we will build a windows mobile version when the Windows Nokia phones hit the streets). 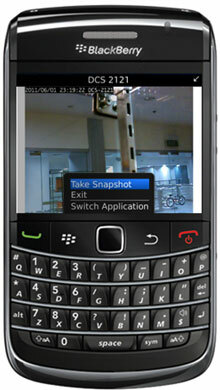 D-Link Cams enables you to view and control D Link network cameras using your Blackberry mobile phone. It works using a 3G connection and/or a wifi connection. The app is compatible with a wide range of D-Link network cameras. The app is an essential mobile tool for security guards and property owners who need to protect their property and businesses. The D Link Cams Blackberry app builds on the already successful collaboration between EyeSpyFX and D-Link.